The sister of a disabled man who died after his benefits were sanctioned has launched a campaign to persuade the attorney general to order an inquest into his death. Gill Thompson needs to raise £10, 000 to instruct lawyers, apply for the necessary records, and seek expert evidence relating to the death of her brother, David Clapson, in July 2013. Clapson (pictured) died from diabetic ketoacidosis, an acute lack of insulin, three weeks after having his benefits sanctioned. His electricity key had run out of credit because he had no money, so the fridge where he kept his insulin was not working. An autopsy found his stomach was empty, and the only food left in his flat was six tea bags, a tin of soup and an out-of-date can of sardines. He had just £3.44 left in his bank account. 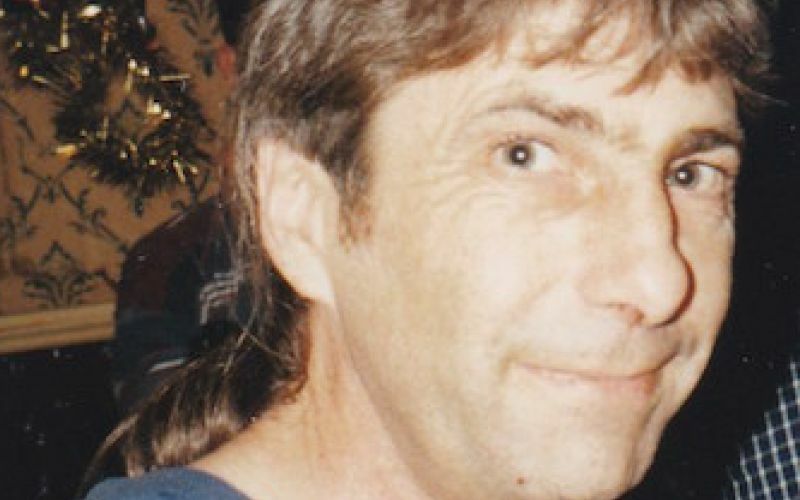 But despite the troubling circumstances surrounding his death, there has never been an inquest, while DWP has twice written to the family to insist that “no errors were made” in dealing with his case while he was alive. DWP has also admitted in a letter to his MP that it was aware that he relied on insulin. Thompson said she believed her brother was killed by the sanctions system, and added: “They are not going to give in. I have tried everything. I can’t bring David back, but I would like to be able to make a difference. “I thought that if I get an inquiry into the circumstances leading to David’s death through the sanctions I will show that what they are doing is having consequences. CVs for job applications were found near his body, and he had been on work placements, passed a fork lift truck qualification and attended a computer training course. His sister said: “David was a quiet, private and proud man who never asked or wanted much; he never complained or told me or his friends he had been sanctioned. She added: “I feel that by doing this I will have done something for David and for others. I don’t want anything from this but to make a difference. Merry Varney, from law firm Leigh Day, which is representing Thompson in her fight for an inquest, said: “Managing type one diabetes requires good nutrition and regular insulin injections. “Rendering a person unable to afford food and/or unable to chill their insulin is likely to have fatal consequences. Thompson launched her fundraising campaign just a day before Disability News Service (DNS) was due to ask a tribunal to force the Department for Work and Pensions (DWP) to publish information from secret “peer reviews” it has carried out into the deaths of 49 benefit claimants. Thompson, like other families who have lost relatives in benefit-related circumstances, has no idea whether DWP carried out a peer review into her brother’s death. DNS is appealing against the refusal of the Information Commissioner’s Office to require DWP to release details from the reports. The hearing took place in London today (3 March) in front of the First-Tier Tribunal (Information Rights), although a decision is not expected for several months. Next week, Thompson will hand DWP an online petition of more than 211,000 signatures, calling for an independent inquiry into the government’s benefit sanctions regime. A protest to mark the handover will take place at DWP’s Caxton House headquarters, in Tothill Street, London SW1H 9NA, from 2.30-4pm on Wednesday (9 March).